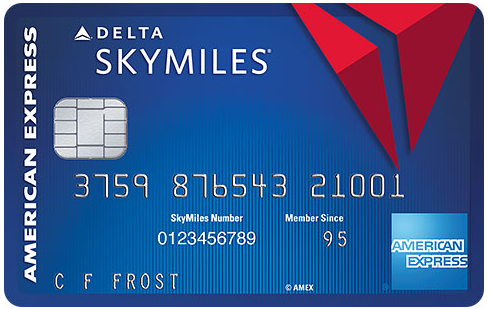 The Blue Delta SkyMiles® Credit Card from American Express is a good choice for frequent Delta flyers that want a $0 annual fee card and to accrue miles on more than just Delta purchases. Domestic travelers may see more benefit than those who travel outside the U.S. due to the foreign transaction fee of 2.7% of each transaction after conversion to US dollars. Since traveling abroad incurs a fee, purchases made overseas will come at a cost, negating any rewards you may earn. You may want to consider the Gold Delta SkyMiles® Credit Card from American Express that has None. 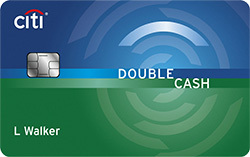 This card is unique among other cards in the airline credit card market with a $0 annual fee. Many other airline specific credit cards, or travel credit cards in general come with an annual fee ranging from $95 to $550. This card offers a more flexible rewards rate than some other airline travel cards. Earn 2 miles per dollar at US restaurants. Earn 2 Miles per dollar spent on purchases made directly with Delta. Earn 1 mile on every eligible dollar spent on other purchases. Since you can earn the higher rewards rate from spending at U.S. restaurants, too, your miles will increase faster than if you used a card that earns a high rate on only airline purchases. There is a foreign transaction fee of 2.7% of each transaction after conversion to US dollars. This card will cost you money if you travel outside the U.S., and as a result can make it inconvenient if you travel abroad. You can find other airline cards that don’t charge a foreign transaction fee, such as the Gold Delta SkyMiles® Credit Card from American Express. Discount on Delta in-flight purchases: You receive a 20% savings on eligible Delta in-flight purchases of food, beverages and audio headsets. The savings comes in the form of a statement credit. Global Assist® Hotline: Traveling more than 100 miles from home allows you to utilize the 24/7 Global Assist® Hotline, with representatives ready to answer questions about medical, legal, financial or other select emergency coordination and assistance services. Entertainment Access®: In select cities, you can gain exclusive access to ticket presales and card-member only events such as concerts, Broadway shows and more. To earn the most miles, use the Blue Delta SkyMiles® Credit Card from American Express on all spending, especially purchases made directly with Delta and at U.S. restaurants. On Delta flights, use your card so you can earn the 20% statement credit (on eligible in-flight purchases of food, beverages, and audio headsets). Make sure you meet the requirements for the Bonus Miles offer so you get extra miles within the early months of card membership: Earn 10,000 bonus miles after spending $500 in purchases on your new Card in your first 3 months of Card Membership. Earn 2 miles per dollar at US restaurants. Earn 2 Miles per dollar spent on purchases made directly with Delta. Earn 1 mile on every eligible dollar spent on other purchases. This is a good rate that will benefit Delta customers and get you closer to covering the cost of a flight with miles. Delta purchases are considered as those made directly with Delta including flights booked on Delta.com, Sky Club® membership or passes, Delta Vacations® packages, seat upgrades, or in-flight purchases like food, beverages and audio headsets. Miles can be redeemed for travel on Delta and more than 15 airline partners in addition to many other redemption options like donations to charity or travel upgrades. There is a Bonus Miles offer: Earn 10,000 bonus miles after spending $500 in purchases on your new Card in your first 3 months of Card Membership. The Blue Delta SkyMiles® Credit Card from American Express and Gold Delta SkyMiles® Credit Card from American Express are two of four Delta branded cards that American Express offers. These two cards have similar features, as well as key differences. 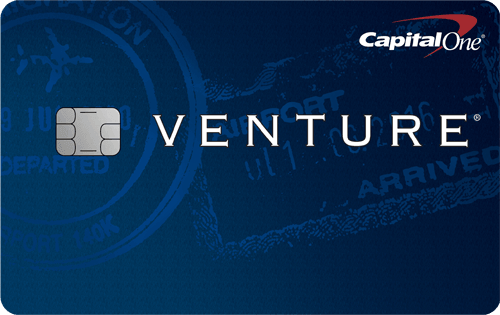 The rewards program for each card is similar, except the Blue Delta SkyMiles® Credit Card from American Express allows you to earn a higher rate on U.S. restaurant purchases in addition to purchases made directly with Delta. The Blue Delta SkyMiles® Credit Card from American Express has a $0 annual fee, compared to the Gold Delta SkyMiles® Credit Card from American Express with a $0 introductory annual fee for the first year, then $95. This may be a deal breaker if you don’t want to pay an annual fee. Another major difference is the foreign transaction fee for each card. With the Blue Delta SkyMiles® Credit Card from American Express you have 2.7% of each transaction after conversion to US dollars., meanwhile the Gold Delta SkyMiles® Credit Card from American Express has None. Therefore, if you are someone who travels abroad, you may benefit more from the Gold Delta SkyMiles® Credit Card from American Express, while people who tend to fly within the U.S. may be fine with the Blue Delta SkyMiles® Credit Card from American Express. Annual Fee $0 $0 introductory annual fee for the first year, then $95. Rewards Earn 2 miles per dollar at US restaurants. Earn 2 Miles per dollar spent on purchases made directly with Delta. Earn 1 mile on every eligible dollar spent on other purchases. 2 miles for every dollar spent on eligible purchases made directly with Delta and 1 mile for every eligible dollar spent on purchases. 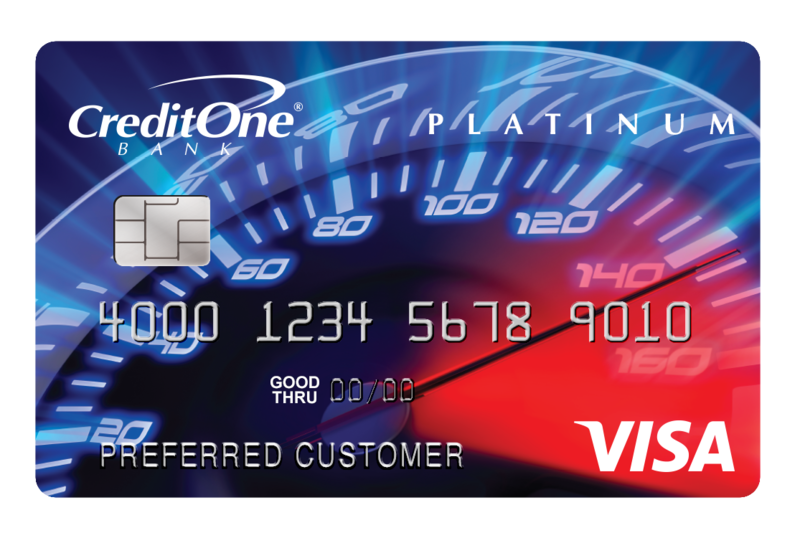 Sign Up Bonus/Welcome Offer Earn 10,000 bonus miles after spending $500 in purchases on your new Card in your first 3 months of Card Membership. 30,000 bonus miles after you use your new Card to make $1,000 in purchases within your first 3 months and a $50 Statement Credit after you make a Delta purchase with your new Card within your first 3 months. People who fly Delta and want to earn miles on those purchases without incurring an annual fee will benefit from the Blue Delta SkyMiles® Credit Card from American Express. You earn a good rate on Delta purchases, and can take advantage of the in-flight discounts on eligible purchases.